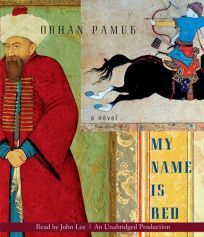 Acclaimed Turkish novelist Pamuk offers this fascinating murder mystery set against the backdrop of 16th-century Istanbul. The story surrounds a sultan who commissions a book to celebrate his life and times, as well as a set of talented artists hired to recreate the work in the European style. But when one of the artists disappears, the answer to his whereabouts seems to lie in the images themselves. British narrator John Lee reads with a classical tone, drawing on his theatrical experience to create a rousing, epic, but personal reading sure to appeal to a wide range of listeners. Lee reads with such inherent skill that his words seem to be coming straight from memory, recreating Pamuk's ancient world in colorful clarity. A Knopf hardcover (Reviews, Aug. 6).